Cheesy ricotta frittata cups in celebration of Jenna Blum’s newest novel, The Lost Family. I received an advanced copy of the novel to join with other bloggers in a virtual supper club to celebrate the book’s June 5 release. I was not compensated in any other way, and was not asked to provide positive feedback. All opinions are my own. Click here for more information about #TheLostFamilySupperClub, and to find what the other bloggers brought to this party! Happy Sunday! First let’s start with the book… and then the food. This book was absolutely captivating from start to finish. Even though it’s being released at the beginning of summer (well, almost), don’t think this is a light, beach read. Jenna Blum writes with such passion and depth that you will be drawn to the pages. It’s hard to put down! I will warn you though, this story is bittersweet from start to finish. Every character’s flaws are readily apparent, if not to themselves, to those around them. Such is the human experience. Parts were tough to read, especially as you understand the various ways that Peter, June, and Elsbeth seek to deal with their individual pain and the shadow of Peter’s war experience on the whole family. See, Peter lost his wife and twin daughters in the Holocaust, and has spent every moment of his life dealing with his grief and loss. Work is his method of coping, and Masha’s (named after his late wife) is the essence of their pre-war dreams. Sadly though, Masha’s does not survive either, and that (to me) seems to be a catalyst for change in the new family’s lives. And yet… there’s beauty in their pain, and redemption in their stories. I won’t give away the ending (READ THE BOOK!) but it is satisfying. The mark of a good story, in my opinion! When I first started reading this book, I immediately understood WHY this book was being celebrated with a virtual supper club. The food is almost like a character in this novel! Jenna wrote all of us bloggers a sweet note (and sent chocolate!) about her love of food and the inspiration of many of the dishes in this book… “I LOVE FOOD, and I had a joyous time creating and kitchen-testing all the recipes for Masha’s menus in The Lost Family (there are two, Spring 1966 and Fall 1965). I relied on my German friend Christiane’s mother’s recipes, my childhood memories of my Jewish grandmother’s dishes, the Mad Men Cookbook and similar cookbooks from the 1960s, and ingredients from my garden.” Food was celebrated throughout the novel–everything from fancy German and Jewish cuisine served at Masha’s, to family meals, to Midwestern fare that June and Elsbeth eat when visiting June’s mother, and much, much more. The two dishes that compelled ME the most though were not from any of these experiences. 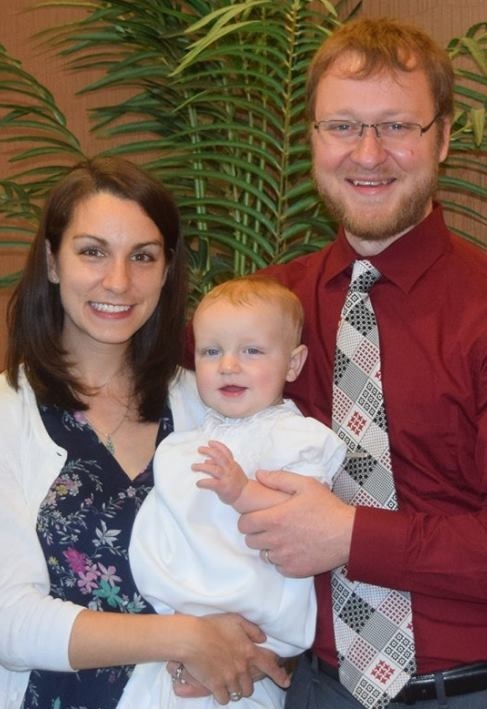 Actually, they came from the end of the book–scrambled eggs that Peter makes for his family on the regular, and a mushroom soup that he works to perfect with his daughter by his side. I was *this close* to recreating his mushroom soup (and I still might!) but it has been roasty toasty in Nashville lately, so soup hasn’t been something I’ve been craving. I am just in love with that scene. There’s so much happiness and joy between father and daughter. With the knowledge of what comes before and after (it’s actually a memory), it’s very poignant in the life of Peter, June, and Elsbeth. There’s performance and ritual and relationships… and caring for others through a purposeful, planned, and delicious meal. Though my eggs aren’t just like Peter’s in ingredients, they are in spirit: a way to care for my family through good food. 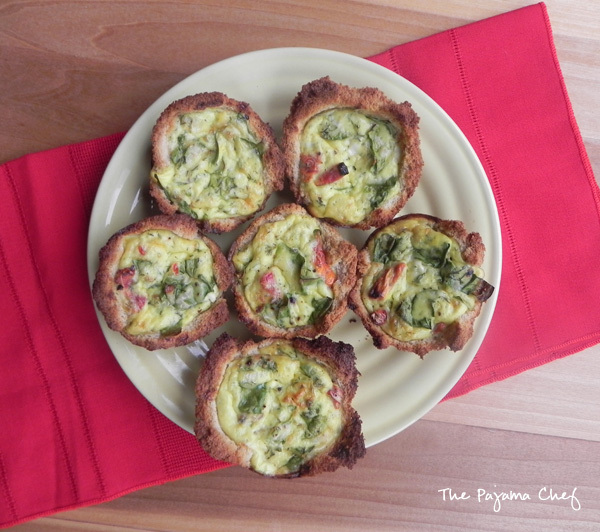 These are the frittata cups that my son loves most for weekday breakfasts at school. And why wouldn’t he? These light and fluffy egg muffins are full of three types of cheese. The ricotta contributes to the lightness of the frittata cups, the Parmesan gives them a salty bite, and the cheddar on top gets all brown and crispy. Yum! Preheat oven to 350 degrees F. Grease a 12 cup muffin tin with cooking spray, or line with silicone liners (paper liners probably would stick, but I haven’t tried them). Combine the eggs, ricotta, milk, Parmesan, and a generous amount of black pepper in a large bowl. Whisk to combine until the eggs are beaten. Transfer to prepared muffin tins, filling each well 1/2 to 3/4 full. Top with shredded cheese and chives. Bake until a toothpick inserted in the center of the frittata cups comes out clean. Tops should be puffy and edges should be golden brown, just pulling away from the sides. Allow to cool in the pan for about 5 minutes, then remove individual frittata cups to a cooling rack to cool completely. If you do not use silicone liners, a butter knife can be used to loosen the frittata cups from the pan. Serve warm or at room temperature. 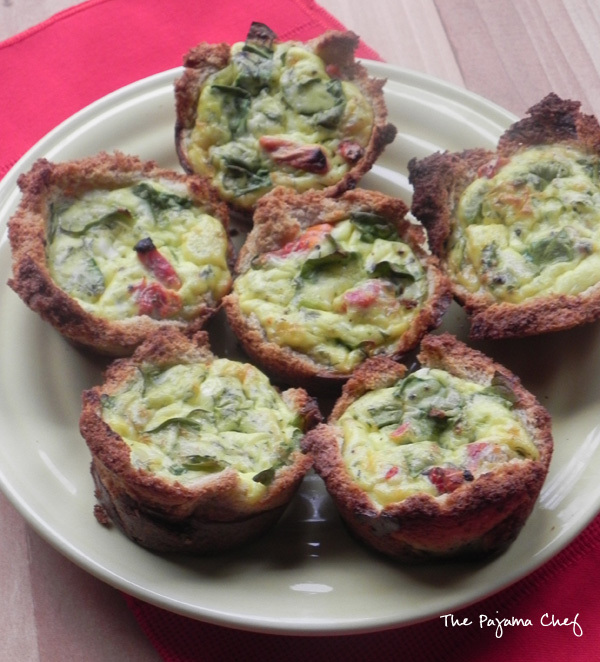 Frittata cups can be refrigerated for a few days or frozen for up to 3 months. Be sure to follow the author and sponsors! Disclosure: I received a complimentary, advance reading copy of The Lost Family by Jenna Blum for my participation in the #TheLostFamilySupperClub party. All opinions are my own. I received no further compensation for this post. Layered sweet potato and sausage scrambled egg muffins to make your mornings better! These little treats are so flavorful and delicious. They’re toddler approved and freeze great! Little man takes his breakfast to school most days. Along with being a time-saver (hello, we leave the house at 6:45 am), food is also the ULTIMATE distraction in toddlerland. I just can’t bear to leave him when he’s grabbing at my leg and wailing. #theworst So… food it is! (Heaven help us on the days I go in late. Seriouslyyy it.is.so.sad.) He is always psyched to sit down at the little table with his pals and dive in to some breakfast. As with everything when you’re busy, making things ahead is KEY for success. Or at least, less stress. HA! Lately I’ve been making a big batch of scrambled egg muffins on the weekend for little man to enjoy for breakfast at school. We usually pair a muffin for him with some fruit or a quarter of these homemade applesauce waffles (that I also make in batches and freeze). This obsession started with a ricotta egg muffin recipe I found (will share THAT recipe soon, I promise!) and escalated into these tasty treats. I seriously adore everything about these scrambled egg muffins. They’re layered, similar to a breakfast casserole, but instead of a bread base, I roasted up some sweet potatoes with lots of yummy herbs. Then I cooked some sausage, crumbled it over top of the sweet potatoes, and poured the egg mixture over everything. Top with cheese, bake, and enjoy. SO easy. You could make these with your kids… that’s what I did! My little guy had so much fun filling up the muffin cups with all the ingredients (I did pour the egg mixture but he did everything else–including helping me whisk the eggs). Since my son is still pretty young I did let the sweet potatoes and sausage cool before he handled it, but he had a blast helping his mama in the kitchen. Lately he’s going through a bit of a picky eater phase, but I really believe he’s been enjoying these scrambled egg muffins so much because he helped make them! It’s the sweetest thing. Hope you guys enjoy these as much as we do! Preheat the oven to 400 degrees F. Dice sweet potatoes into small one inch cubes, then toss with oil and herbs. Place on a single layer on a large baking sheet, then roast in the oven for 30 minutes until soft, tossing once or twice. Meanwhile, cook sausage and drain grease. In a medium bowl, whisk together eggs, milk, and Dijon mustard. Grease a 12 cup muffin tin with cooking spray, or line with silicone liners. When sweet potatoes are cooked, divide between muffin wells. Top each with crumbled sausage, then pour egg mixture on top. Repeat until ingredients are gone–amounts may vary slightly, as my silicone muffin cups are a little small. Top with cheese, then bake for 22-25 minutes until set. These adorable mini egg quiches are easy to make and full of great flavor! These quiche are much easier to make than the traditional variety. The “crust” is merely sandwich bread. SO smart! And the filling is totally customizable, as all good egg/quiche dishes should be. Here I stuck with Catherine’s suggestions: Parmesan, sundried tomato, garlic, and herbs. I also threw in some spinach for good measure. Ben and I enjoyed these for a light dinner with smoothies, but I think they’d also be fantastic for brunch, breakfast, or even a snack. They’re portable, tasty, and cute! What more could you ask for? Enjoy! Grease 10 wells of a muffin tin with cooking spray. Preheat oven to 350 degrees F.
Flatten bread with a rolling pin or your hands, then press it into the muffin wells, using about 1/2 of a slice for each. Bake the bread for 5-7 minutes, until just crisp. Remove from oven and let cool completely. In a medium bowl, whisk eggs. Fold in tomatoes, spinach, Parmesan, sour cream, garlic, scallions, parsley, baking powder, and pepper. Divide the egg batter between the muffin wells. Bake for 25-30 minutes until set. 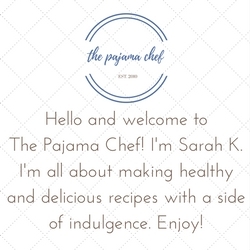 To see what my other Secret Recipe Club pals made this month, check out the links below!